Canada and the United States have lived together in peace for more than two centuries, since the War of 1812. Yet, it has not always been easy. “Living next to you is in some ways like sleeping with an elephant. No matter how friendly and even-tempered is the beast, if I can call it that, one is affected by every twitch and grunt." Trudeau was the late father of Justin Trudeau, who today is Canada’s 23rd Prime Minister. I have always had great admiration for Canada. Perhaps that is because I lived there three years in my formative youth. This article contains some perspectives on Canada that may not be familiar to non-Canadians and perhaps to even some Canadians. Canada is celebrating its 150th anniversary. Canada Day is July 1. On that day in 1867, the British North America Act came into effect. The Act created the Dominion of Canada, a union (confederation) between the province of Canada (which was divided into the provinces of Ontario and Québec) and the colonies of Nova Scotia and New Brunswick, which became provinces. All of this could be traced back to a 1864 conference in Charlottetown, now the capital of Prince Edward Island, which itself did not join the confederation until 1873. Like the United States, Canada is a former British colonial holding. Yet there are significant differences. For example, the manner of its separation from the “mother country” could not be more different. For the United States, the break was complete and relatively quick. After the July 4, 1776 Declaration of Independence and a war that lasted from 1775 to 1783, the separation was complete. When Did Canada Become Sovereignty? There is no question today of Canada’s sovereignty --- it is a sovereign nation like the United States, China or Japan. Yet Canada seems to have evolved into sovereignty, over many years. Just when did Canada become independent? Opinions vary by 115 years. A poll by the Ottawa Citizen found considerable disagreement among Canadians. The majority, 74 percent said that it was 150 years ago, the effective date of the British North America Act (1867). The signing of the Canada Act by Prime Minister Pierre Trudeau and Queen Elizabeth in 1982 got the second most mentions, at 14 percent. And, other dates were mentioned. But both dates are unconvincing, according to Professor Jack Jebwab, formerly at one of Canada’s most prestigious universities (McGill University in Montréal) and now president of the Association for Canadian Studies, cites a 1967 Supreme Court decision of Canada, which stated that “sovereignty was acquired in the period between its separate signature of the Treaty of Versailles in 1919 and the Statute of Westminster” (1931). Jebwab says that Canada became neither independent nor sovereign in 1867, noting that the meaning of “dominion” was a British Empire term for “semi-independent entities.” The British Parliament, he says, could legislate on Canadian affairs and “override” any local legislation. The Statute of Westminster (1931), which was a “British law clarifying the powers of Canada's Parliament and those of the other Commonwealth Dominions. It granted these former colonies full legal freedom except in those areas where they chose to remain subordinate to Britain,” according to The Canadian Encyclopedia. This certainly seems to suggest that Canada could have been independent in 1931 if it chose to be. The Statute covered not only the Dominion of Canada, but also the Dominions of Australia, New Zealand, the Irish Free State, South Africa and Newfoundland (now Newfoundland and Labrador, one of Canada’s provinces). From its beginnings with four provinces (Ontario, Quebec, New Brunswick and Nova Scotia), Canada expanded to 10 provinces and three territories. Manitoba joined as a province in 1870. British Columbia, on the Pacific Coast, joined in 1871, with the promise of a transcontinental railway, which was completed in 1885 (the Canadian Pacific). Prince Edward Island, home to the founding Charlottetown conference, did not join until 1873. Saskatchewan and Alberta became provinces in 1905, bringing the count to nine. The province of Newfoundland and Labrador is a special case. Never before a part of Canada, Newfoundland became a dominion of the British Empire in 1907, with equal status with Canada and the other dominions. It, like the other dominions, received a substantial push toward sovereignty with the 1931 Statute of Westminster. Yet, by 1933, the Dominion of Newfoundland found itself in considerable financial difficulty and its legislature disbanded. This may have been the only instance of a former colony voluntarily returning to colonial status. Newfoundland was governed for a decade and a half directly from London. After referendums, Newfoundland became a province of Canada in 1949. Canada also assumed the huge territories of the North, now the Yukon, Northwest Territories and Nunavut. Then there is the city of Prince Albert, Saskatchewan, which is not among Canada’s largest, with only 36,000 residents. No one from Prince Albert was at Charlottetown in 1864. Yet Prince Albert has been, in some ways, a cradle of Canadian leadership. 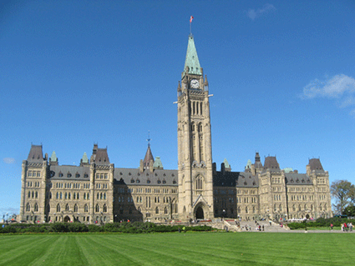 The House of Commons (lower house of parliament) constituency of Prince Albert has been represented by a disproportionately large three of Canada’s 23 prime ministers. John A. Diefenbaker (1957-1963) grew up in the area and served Prince Albert during his premiership. William Lyon MacKenzie King, Canada’s longest serving prime minister (1921-1926, 1926-1930 and 1935-1948) represented Prince Albert through four of his six governments. Before he became Canada’s seventh prime minister, Wilfred Laurier held its provisional seat before Saskatchewan became a province in 1905 (when it was a part of the Northwest Territories). St. Albert has been represented by Prime Ministers for 30 of Canada’s 150 years, quite an accomplishment for such a small place. Indeed. Canada has emerged as one of the world’s most successful nations. According to the New York Times, Canada now has the richest middle class in the world. There is much in Canada to be celebrated, and enthusiastically.